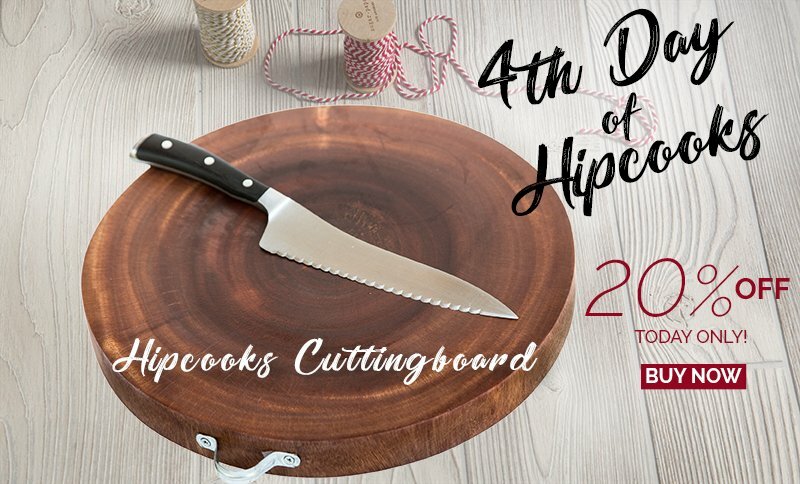 A Hipcooks Cuttingboard, at 20% off! Our cutting boards are reduced today: Buy online but you must pick-up at one of our Hipcooks locations. We’ll hold for you until Dec 31!